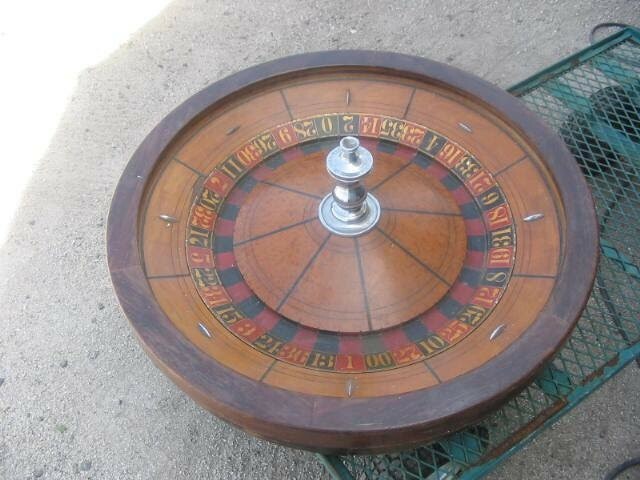 Genuine historical 19th Century gambling Roulette Wheel that was used in a saloons in the Old West. Great fun for ones personal recreation room. Genuine historical 19th Century gambling Roulette Wheel that was used in a saloons in the Old West. Great fun for ones personal recreation room. (The roulette wheel can not be used in any public place of business or use for public gambling). Please email cowboycabin@centurytel.net with questions or call 406 270-2842.